I’m currently on my honeymoon in Italy, so this update is brought to you by Jon Sawatsky! The incredible game designer read my post about my world Enora and was inspired to create an adventure for 1st level characters. I’d like to share an excerpt of the adventure with you below! In once verdant Naliath, a fading order of druids believe they have the means to re-establish a stronghold on the surface of Enora. The druids of the Red Bough were once the keepers of the sprawling greenspaces and wild gardens of the elven city of Naliath. In the days before the Dordrune sent the six cities into the sky, Naliath was renowned for its unconventional parks – which featured stunning works of living woodcraft, attended by Enora’s fey-folk. Now, with land scarce, and the population teetering on the edge of starvation, the gardens of Naliath have been uprooted; they serve as farmland, or house the survivors of the ascension. The druids have managed to keep one small area for their worship and work. From this humble garden, the Red Bough have grown a very special fungus: Gildfoot. The spores of this magical fungus are able to grow rapidly, and deep, provided they have the thinnest ray of real sunlight. Once established, it is only a matter of hours before the mushroom begins emanating radiant energy. The undead are repelled by the effect, and the druids believe that should a single spore be planted and grown, a small safe-zone on Enora might result. The greatest obstacle to the druid’s plan is the thick layer of ash and smoke that lies between the Bound Sky Cities and the ground. Belched forth from countless enormous stoves on the surface, the blanket of ash cannot be easily dispersed; should a stove be dismantled, it is possible the sun might reach the surface nearby for a short time – a fleeting moment of light. This one-shot adventure challenges four or five 1st level PCs to descend to the surface of Enora by Airship, travel along a wasted coast, assault an undead complex, shut down a great bone-stove, and plant a single spore of Gildfoot. The mission is clear, and the adventurers will have to dig deep, and work together if they wish to succeed. The adventure begins with the assembled player’s deciding what their reward should be if they complete the mission. 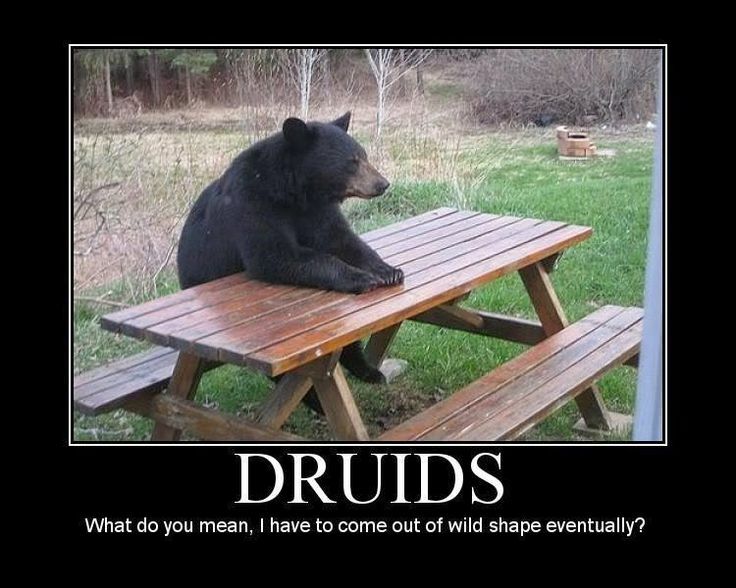 You have agreed to chance a mission for the druids of the Red Bough. You must travel by swiftship below the ash cloud under the cities, and disembark several miles south of the fallen City of Peralas. The old coastal trade road is sure to be ruined, but you are to follow its course north to the site of the bone-stoves built near the city. You must assault the stoves, extinguish their flames, and plant a single fungal spore in the earth east of the stoves. The sun’s light will fall only briefly, so you must hurry to proper place to plant it in time. Your task ends here, and you must make your way back to the ship to escape before the undead legions of the Empress arrive. Choose your payment now, for the swiftship is ready to leave. Answer the PCs questions about the mission as you see fit, but the focus here must be on choosing their payment. It is acceptable for the PCs to feel rushed and harried. PCs who wish to try and persuade the druids to offer two of the listed treasures may attempt a DC 17 Charisma (Persuasion) check. Securing all three is impossible. Once they have chosen a reward, slam them into The Descent abruptly and without preamble. The Green Crown is the fastest ship in Naliath. It is steered by a steely-eyed elf named Captain Phanae. 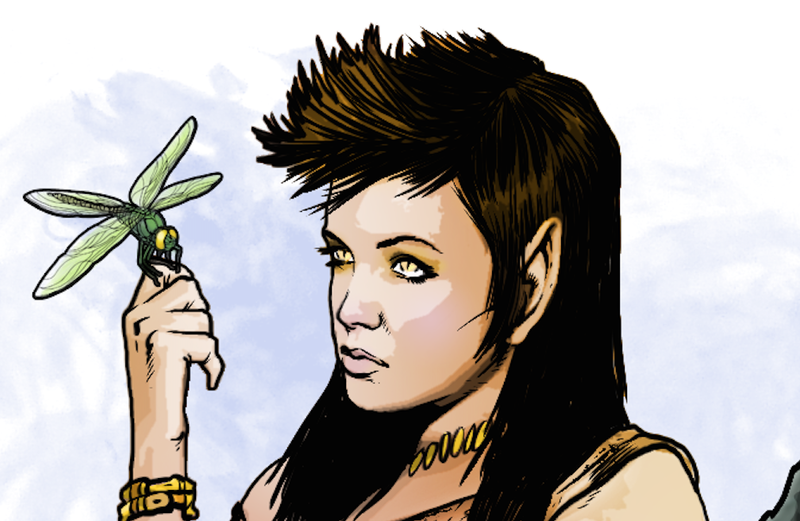 The captain is a no-nonsense woman who leads her crew of six humans and elves with clear commands. This is not her first trip to the surface, and her ship is uniquely suited for the task. All comforts have been stripped from its decks. The ship has been modified for speed. Four massive magical turbines see the ship reach speeds of 70 miles an hour or more. The captain’s greatest desire is to see what remains of the great Avanathan boreal forest – she hopes against all odds that some portion of that wild and beautiful place persists. The Green Crown leans heavily as soon as it passes into the ash. You are seated on benches in the ship’s aft section, a large open chamber used as a common space for the crew. Out the four portholes you see the sunlight fade as the ship falls deeper into the smoke. Small objects around the party slide and take flight. A few sacks of supplies careen towards them. Two randomly chosen characters must succeed on DC 9 Dexterity saving throws or take 2 (1d4) bludgeoning damage from the airborne supplies. It is clear the descent is going to be rough; provide the party an opportunity to make their quarters safer using narrative action, or easy ability checks. The ship drops suddenly, sending your stomachs into your mouths. The wooden walls creak ominously and you can hear strong wind outside.Each character must succeed on a DC 11 Constitution saving throw or be nauseated by the ship’s unpredictable movements and changes in altitude. Characters who are nauseated receive disadvantage on their next ability check or attack. The effects fade after the disadvantaged roll is made, or after one hour passes. The characters can investigate the room. It contains miscellaneous supplies such as rope, hooks, leather strapping, deck-axes, and dry food stuffs. A few barrels of water sit lashed to the wall near the only door. A DC 10 Wisdom (Perception) check reveals three coils of strong rope, each with a grappling hook attached. A cry of surprise and terror rises from the deck above. The ironbound lantern at the base of the stairs leading up swings violently; it casts wild shadows on the timber of your quarters. A piercing caw soon follows – like a seabird mixed with a saw. A terrible wind rises, muting the sounds above. Foul undead have assaulted the captain and crew as they steer the ship down through the ash. Allow the party the chance to respond. Careful listening and a DC 13 Wisdom (Perception) check rewards the player with the sound of wings and battle. A stealthy peer through a barely opened door reveals a handful of skeletal bird-like creatures tearing two crewmen to pieces. Their innards slide from their wounds as they struggle to keep from falling off the deck. If the party simply waits, eventually a crew member throws open the door and falls down the stairs, dead before he reaches the bottom. Large piercing wounds line his back and arms. A sampling of the dread Empress’ forces has found the airship and have attacked. The characters must make their way onto the deck, battle against the winds and sudden movement of the ship, and defeat the undead birds before the crew is eaten. There are four dead wings* (see the Appendix) on the deck above. Three attack the party and one pecks at the door of the wheel house where the three remaining crew (commoners) who have taken shelter. The wheel house is 60 feet from where the party steps onto the deck. The door has 18 hit points, AC 15, and is immune to poison and psychic damage. The birds are merciless killers who fight to the death. At the beginning of each PC’s turn, they must make either an DC 9 Strength or Dexterity save, or lose the ability to move or dash for that turn. Anytime a PC takes damage from a dead wing’s attack, they must make a DC 10 Dexterity save or be knocked prone. 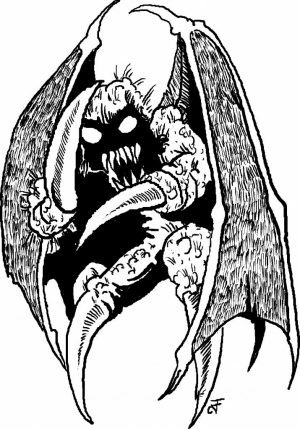 Once again I’m continuing my quest to add killer undead to the options already available in the fifth edition Monster Manual for my world of Enora. So far we’ve seen husks, skeletal dragons, vampiric dragons, vampiric vines, elemental undead, and nightshades. Now I’d like to turn another, the rotted angel. It’s time for some celestial undead. Towering beings of decaying flesh and damaged wings, rotted angels are obscene corruptions of good. Nearly impossible to create, these servants are the pride and joy of the evil necromancers that craft them. Living angels believe it is their sworn duty to kill such abominations and fallen angels often hunt their rotted cousins to regain the grace of the gods. Born in Blood. Creating a rotted angel first requires the capture of a living angel. Then over the course of twelve hours, a horrific ritual is performed that involves the sacrifice of one-hundred innocent humanoid souls, burned alive one at a time. At the end of this ritual, the angel dies, its soul is twisted by evil, and then returned to its body, which begins to decay as it struggles to contain the darkness within. The rotted angel retains all the memories of the original. Relentless Evil. Rotted angels answer only to the necromancers that created them. They delight in cruelty and relish tasks of murder, destruction, and torture. More than anything else, the angels take pleasure in tricking or forcing good-aligned creatures to commit unspeakable acts. The angels often craft situations that ask these creatures to make impossible decisions to drive them to malice and madness. Unbound Rotted Angels. Only the necromancer that created the rotted angel can keep the monster in check. Should the necromancer die, the angel becomes unbound. It is free to do whatever it chooses. Unbound rotted angels travel the multiverse, looking for angels and heroes to turn to evil and drive mad. Return to Grace. A rotted angel can be returned to its living state. If the monster is captured, a new ritual can be performed to restore it. Over the course of twelve hours, one-hundred undead creatures are destroyed one at a time. At the end of this ritual, the angel’s body and soul are restored to its previous living state. Undead Nature. A rotted angel doesn’t require air, food, drink, or sleep. 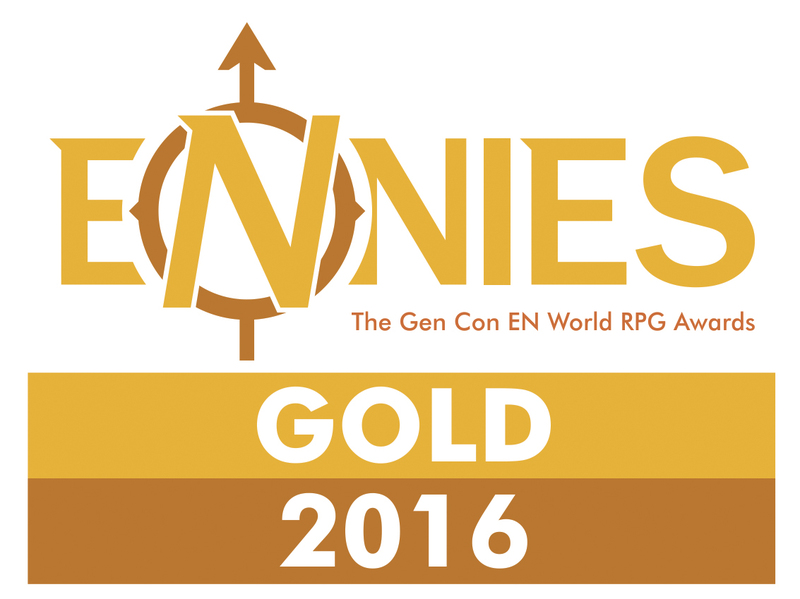 Grab the PDF below or on the Free Game Resources section of this site any time. Hey I just wanted to let you know I’m contributing to Mike Myler’s Book of Exalted Darkness which you can back on Kickstarter right now! With that world comes new monsters, races, subclasses, and more. I’m now adding a druid circle to the flying world – the Circle of the Sky. The Circle of the Sky is made up of guardians and warriors who wield the power of lightning and thunder to destroy their enemies from above. These protectors watch from the trees, mountains, and sky, preferring to ambush their prey as a falcon does a mouse. The circles meet at high places, like the peaks of mountains or tops of trees, to exchange reports about the movements of marauding monsters, such as gnolls or orcs, and plan coordinated attacks. Circle of the Sky druids are vigilant and suffer none who would destroy nature for personal gain. When you choose this circle at 2nd level, you learn the hurl lightning cantrip. Starting at 2nd level, you can cast the feather fall spell on only yourself without needing to expend any spell slots or material components. You must finish a short rest before you can use this feature again. Your mystical connection to the sky infuses you with the ability to cast certain spells. At 3rd, 5th, 7th, and 9th level you gain access to druid circle spells connected to the sky as indicated on the Circle of the Sky Spells table. Once you gain access to a circle spell, you always have it prepared, and it doesn’t count against the number of spells you can prepare each day. If you gain access to a spell that doesn’t appear on the druid spell list, the spell is nonetheless a druid spell for you. Starting at 6th level, you can add your Wisdom modifier to any spell you cast that deals lightning or thunder damage. In addition, when you make an attack in a beast shape while using Wild Shape, that attack deals an extra 1d6 thunder damage. When you reach 10th level, you can cast the levitate spell on yourself at will without expending any spell slots or material components, and you are resistant to thunder and lightning damage. At 14th level, you can expend two uses of wild shape to transform into an air elemental. In addition, you can use your action to give yourself and a number of creatures within 30 feet of you that you can see a fly speed equal to their walking speed for 1 hour. Once you use this feature, you cannot use it again until you finish a long rest. Of course for this new class, we need a new cantrip. Hurl lightning is described below and can be added to any druid’s spell list at the DM’s discretion. You throw a small bolt of lightning at a creature or object within range. Make a ranged spell attack against the target. You have advantage on the attack roll if the target is wearing metal armor or made of metal. On a hit, the target takes 1d6 lightning damage. The spell’s damage increased by 1d6 when you reach 5th level (2d6), 11th level (3d6), and 17th level (4d6). With that world comes new monsters, races, subclasses, and more. I’m now adding a paladin oath to the undead world – restoration. The Oath of Restoration binds paladins to the task of rebuilding what once was. Sometimes called rebuilders or restorers, these paladins nurture civilizations, clear monsters from ruins, heal scarred lands, help refugees reclaim their homes, and mend the wounds of the injured. 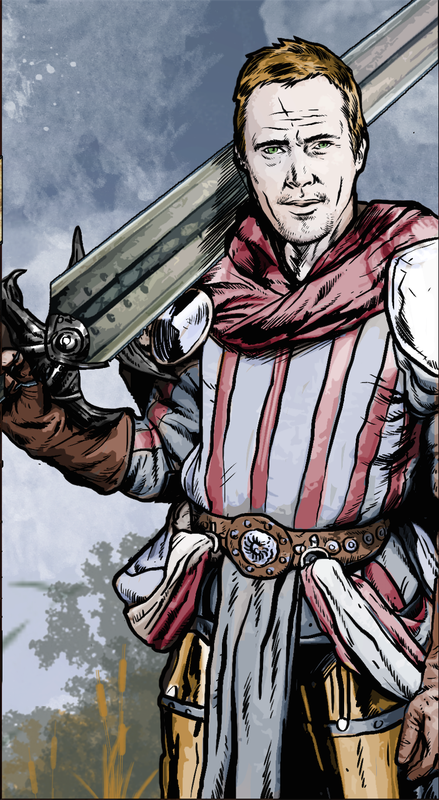 Unlike paladins who swear an Oath of Vengeance, restoration paladins focus on the work of bringing back what is lost rather than making the guilty pay. The wording of the tenets of restoration vary from paladin to paladin, but all share the same ideals about rebuilding, nurturing, and protecting others. Stop Wanton Destruction. Those who destroy for the sake of themselves must be stopped at all costs. Reclaim Homes. It is never too late to help another reclaim a lost homeland. Anything Can Be Rebuilt. With enough time, will, and determination, any place, relationship, or life can be reforged. Civilization for All. Any creature that desires shelter, education, good health, and the trappings of society should have access to such and be accepted. Rebuild Hope. Optimism is key in inspiring yourself and others to uphold reclaim what once was. When you take this oath at 3rd level, you gain the following two Channel Divinity options. Greater Mending. As an action you touch a broken object, such as a cracked wagon wheel, two halves of a shield, a torn tapestry, or a leaking dam wall. As long as the break or tear is no larger than 3 feet in any dimension, you mend it, leaving no trace of the former damage. If the item you repair is a magic item, you restore magic to such an object. If the item you repair is a construct, you can repair it, but you cannot restore its magic. Restore the Fallen. As an action choose one living creature reduced to 0 hit points that you can see within 30 feet of you. That creature regains one-third its hit points (rounded down). Starting at 7th level, with your Lay on Hands healing pool, you can restore a number of hit points equal to your paladin level x 10, and you can use this pool to restore hit points to objects. At 18th level, you can expend 100 hit points from your healing pool to return a creature to life that has died within the last minute. That creature returns to life with 1 hit point. This feature can’t return to life a creature that has died of old age, nor can it restore any missing body parts. Starting at 15th level, you can rebuke your attackers with holy light. When a creature within 5 feet of you that you can see hits you with an attack, you can use your reaction to cause that creature to make a Dexterity saving throw. This saving throw DC equals your paladin spell save DC. On a failed save, that creature takes 2d6 radiant damage. At 20th level, as an action, you can emanate an aura of strength and determination. For 1 minute, you and your allies within 30 feet of you have resistance to bludgeoning, piercing, and slashing damage from nonmagical weapons and have advantage on saving throws against spells and other magical effects. Once you use this feature, you can’t use it again until you finish a long rest. Starting at 14th level, you are immune to disease and poison. In addition, whenever you deal necrotic damage to a creature with a spell you cast, that creature cannot regain hit points until the start of your next turn. 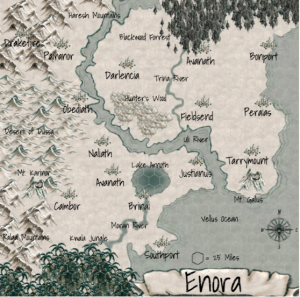 As I’ve said before, I’m starting to make some progress in my world of Enora, where undead rule the surface of the planet! There’s just one monster of a problem with this idea: the fifth edition Dungeons and Dragons Monster Manual has a serious Challenge Rating gap when it comes to undead. There’s a handful of Challenge 5 undead and then it jumps to 13 with the vampire. What’s a DM with a taste for rotting flesh to do when hankering for some good mid-level baddies (not to mention during the thinner highest levels of the game)? 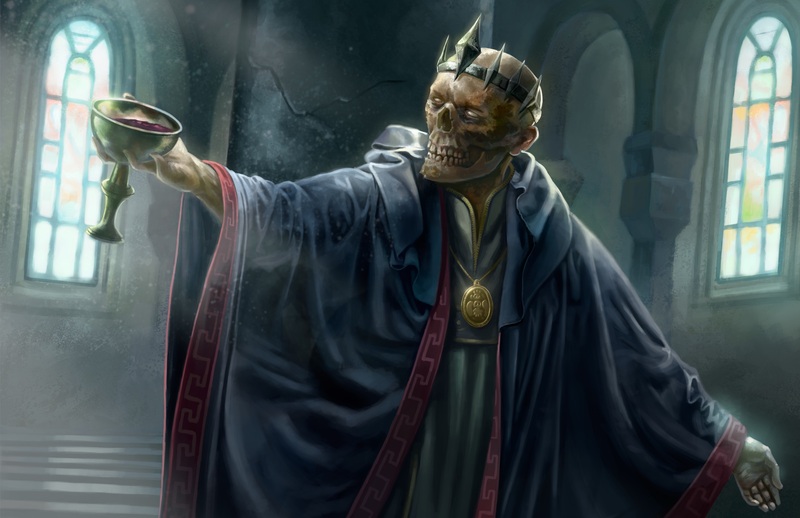 Time to put on the necromancer hat and make some new fifth edition undead! Over the next few weeks, I’ll be revealing some of my creations and asking for your critiques and feedback. Let me know what you think! These critters are in playtest mode. First up is the husk. Husks are the undead shell of a creature, animated skin and muscle of surprising strength that do the bidding of their creators. Many necromancers see these horrid creations as a two-for-one deal that does not waste a corpse’s fleshy parts after animating a skeleton. Husks are loyal to the wielders of dark magic who create them, but sometimes these undead rise of their own accord in places where mass murder occurs. Husks without a master desire only the death of other creatures. Created by Power. Only the most powerful necromancers and most atrocious acts of murder can create a husk. The creatures require a massive amount of dark energy to move without a skeleton. Having a husk servant is a point of pride for evil spellcasters. The larger the husk, the more dangerous the master. Insatiable Desire to Kill. Even husks who are bound to masters have a strong desire to murder any living creatures they come across. A husk’s master can feel this desire and only those necromancers with the strongest wills do not give into this temptation themselves. For many dark wizards giving into the temptation is not a problem at all. Murder Victims Only. Husks can only be created from corpses that were murdered in cold blood. Many necromancers kidnap victims and murder them one at a time when they are learning the ritual required to create a husk. Husks that rise on their own usually do so in groups, and only in places of sorrow after a mass slaying has occurred. Beyond this requirement, any creature with skin and flesh may become a husk. Size Matters. Most husks of a given size have the same abilities. A husk that was once a human and a husk that was once a panther are statistically the same, but they might move, smell, and sound very different from one another. Undead Nature. A husk doesn’t require air, food, drink, or sleep. It’s time for another fifth edition player option! 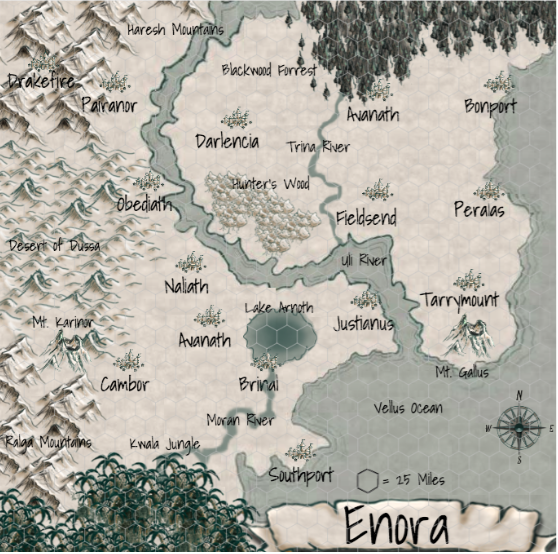 As I mentioned in some previous posts, I want show off my world of Enora. With that world comes some new player options, one of which I am happy to share now! All of these options are in playtest mode and I am looking for feedback! Since the world of Deldoroth is six floating cities, it makes sense that druids in these crowded places would be of the Circle of the Sky. Check out the new circle below! The Circle of the Sky is a sect of druids who move with swift speed and grace to defend the natural world. These druids gather under open skies to hold their meetings, day or night, rain or shine. They wander open plains, traveling within herds of animals, strengthening the local flora so it can grow towards the sun. Circle of the Sky druids often use their magic to aid struggling crop farmers. This order believes clean air is the provider of all life. They abhor beings who unnecessarily pump pollution into the sky. When you choose this circle at 2nd level, your walking speed increases by 10 feet. This speed bonus applies to your wild shape forms. At 8th level, the bonus applies to your wild shape forms’ flying speeds, if the form you’re in already had a flying speed to begin with. At 2nd level, you gain proficiency in the Stealth skill. Starting at 6th level, the distance and height you can jump is double what it would normally be. In addition, if you begin your turn within the reach of a creature and then jump out of that creature’s reach, that creature has disadvantage on any opportunity attacks it makes against you. Starting at 10th level, you can summon an air elemental as if you had cast the spell conjure elemental without needing to expend any material components and without needing to maintain concentration. You cannot use this feature again until you complete a long rest. At 14th level, you have a flying speed equal to your current walking speed whenever you are not underground or indoors.